If you love waterfalls you’ll love this Zazzle store as it’s full of images of waterfalls available on canvases, posters, cards, throw pillows, iphone cases and lots more items. 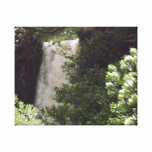 I have always loved waterfalls and as I’ve been a Zazzle shopkeeper for some time now I figured it was time to combine the two things hence my Zazzle store – Chasing Waterfalls. Now although I love waterfalls after opening this online store I was shocked to discover that the digital photographs I had were of only two different waterfalls, it was time to go chasing a few more waterfalls with my camera! One of my favourite waterfalls is actually not a very big one at all, but it has a happy memory to it you see I got married there. Yes, I really do love waterfalls enough that I chose one for my wedding venue! Now if you’re thinking of doing this let me just tell you I didn’t think through high heels and rocks and photographers always think you can climb to just where the so-called perfect photographic point is! Luckily no one fell or got wet and I still love waterfalls, but if I did it again I might have gone for flat shoes. The waterfall in question was at one time in the middle of a town although the center of town has changed over the years it still has great historical significance, it’s name is Wairere Falls and you can find it in the New Zealand town of Whakatane. For about a year I lived in the New Zealand town of Paeora and there was a gorgeous waterfall nearby in what is called the Karangahake Gorge. This waterfall is called Owharoa Falls and on my last trip back to New Zealand I decided it was time to introduce my daughter to the waterfall – she fell in love with it too and I was also able to get some photos for my Chasing Waterfalls shop which at this stage was merely an idea. 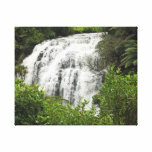 Owharoa Falls became the first waterfall image that I used in the Chasing Waterfalls Zazzle shop and has proven to be quite popular on a number of different products. 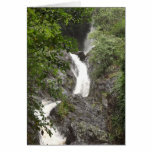 I hope you’ve learned a little bit about my Zazzle shop and if you’re looking for images of waterfalls be sure to bookmark Chasing Waterfalls for easy access to gorgeous posters, cards and gift ideas featuring an ever increasing range of waterfalls. What is a peak and when is a peak climbed? This article lists the highest mountains of the world and some of their prominent subpeaks. The question about what defines an official peak has plagued mountaineers for years. This article explains objective measurements and discusses when a peak is climbed.